MOD Pizza menu prices at your fingertips. MOD Pizza is an experimental project that came about due to a couple’s love for pizza and life’s simple pleasures. This pizza place offers a unique dining experience to customers by letting them create their own pizza creation based on what they really want. Best of all, as the owners want to keep it as a family-oriented restaurant, they did not ask for any extra cost just to fulfill the dream of every pizza lovers in the country. Established in fall of 2008 in Seattle, MOD Pizza hoped to motivate people to forget about their daily woes even for a short time, especially as it was during the financial crisis when the restaurant first opened its doors. Through their braveness, a group of special people was formed, also known as the “MOD Squad,” making the MOD Pizza a real home to most of its customers. Today, there are over 200 MOD Pizza locations across the US & UK. Prices on their menu list don’t even go beyond $11.00, a treat that made people love MOD Pizza even more. In choosing their “MOD Squad,” the owners focus on personality and determination to serve with a smile, making the service excellent and friendly. Meals are served fresh and hot off the oven, cultivated with authentic ingredients and topped with generosity and love. In trying times, the survival and creation of this pizza place with a heart is way more than what customers bargain for, especially if they continue to provide them with simple pleasures for complex times. 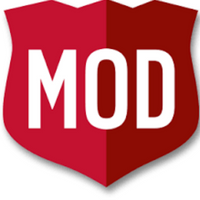 For more information about Mod Pizza, visit their official website. What are the usual hours of operation for MOD Pizza? I don’t buy pizza anywhere else since MOD. I love thin crust; to me, pizza is about the toppings not a big, thick crust. MOD agrees! !